Just been out on this route and got 3 Personal Bests on Strava, including Yalding Hill. I literally did a double-take and had to turn around and go back and stare through the window drooling! This was like the dream machine of my youth. 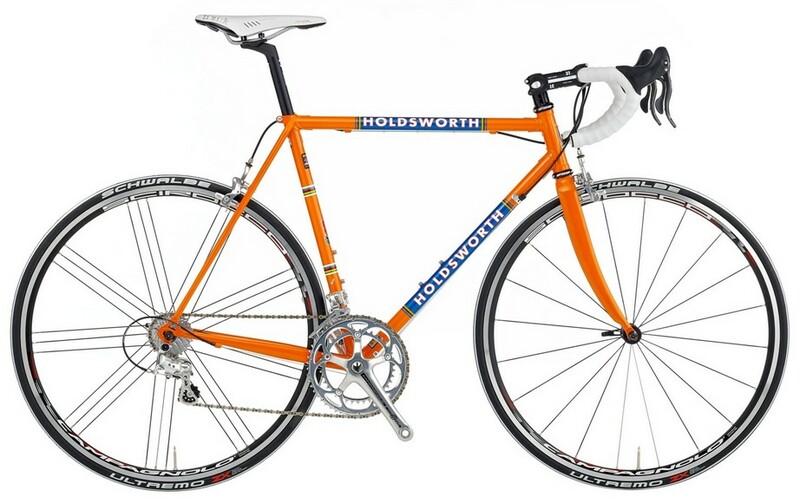 I used to have a Holdsworth frame – I even sprayed it orange, but didn’t have the logos on. Used to commute on it in the late 70’s. Purists would say (and I agree) that the wheels/tyres on this re-issue look too lairy. 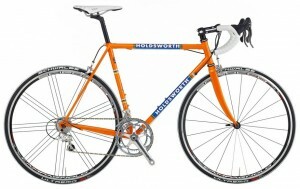 The A-head stem looks a little unrealistic too I guess but I could live with that, and the carbon forks. I want one! Now! Of course I’d have to get some retro kit to match! This entry was posted in Gear, General by Vince. Bookmark the permalink.